Huntsville has become a craft beer lovers dream. With more than 23 breweries and craft beer shops in the Rocket City, a visitor might not get to taste each unique brew. Huntsville International Airport has now helped to remedy a case of the FOMO craft beer blues! 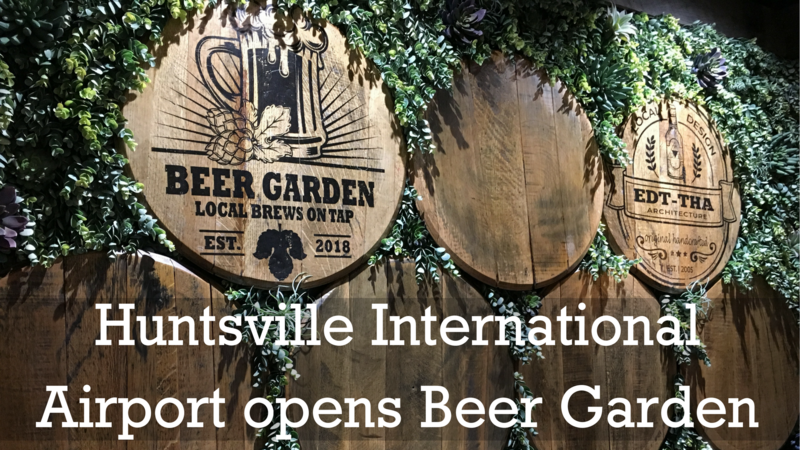 A new beer garden is now located inside the Huntsville International Airport Terminal so if you #FlyHSV you will get a chance to try some Rocket City&apos;s finest craft beers.